Each time I visit Pune, I follow a tradition. It begins with my boarding the 7.00 am Shivneri bus from Vashi highway at Navi Mumbai. I reach Pune station by 10.00 am. Then I hop into an auto rickshaw and head straight to Kayani Bakery at East Street in the Camp area. I always enter Kayani with a prayer on my lips, and rightly so, as I have often had to go back empty-handed because their products have been sold out. I love Kayani’s cakes (sponge cake, mawa cake), biscuits (Shrewsbury, ginger and wine), and bread and make sure to fill up my backpack. My next stop is Marz-o-Rin on Main Street or M.G. Road, a 5-minute walk from Kayani Bakery. In my opinion, Marz-o-Rin has the best sandwiches in the world. And this makes it perfect place for me to unwind after the 3-hour bus journey. I usually have some chutney or vegetable or egg sandwiches along with chocolate milk or coffee milk here. By 11.00 am, I am well fed and my bag is stocked with my favourite cakes and biscuits and all is well with the world. This tradition was followed yet again, when I went to Pune last week. It was a wonderful trip where I met a friend after 20 years and had lunches and teas and dinners with more friends. In between all these engagements, I went ‘site’-seeting in Pune. But for more details on that, do read my forthcoming posts on the Pataleshwar Caves, Vishrambaug Wada, Tulsi Baug, and more. Previous Post I love 3D films! 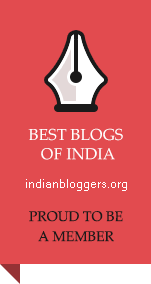 A post on my hometown….. you are now my favorite blogger 🙂 All those places you mentioned have been my haunts for years…… Thank you for this paean to my city!